Roy Lee a known director for his adaption of horror asian movies like The Grudge and Ring series have found Sigaw of Yam Laranas interesting to make an American version but with an added twist to suite the international audience. I am quite proud that this remake because it still has a lot of the original plot. Iza Calzado will also be starring as the character she played in Sigaw. A criminal record and parole term is keeping Bobby in his late mother's old apartment. He is then disturbed with screams from another apartment, nobody can seem to answer his questions. Only he can hear the screams. Jesse Bradford plays the role of Bobby who is determined to find out where the screams are coming from and if it has something to his mother's death. 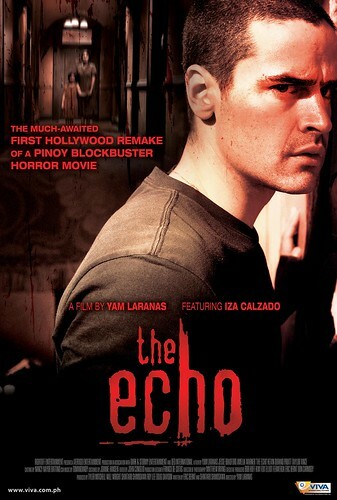 The Echo will hit Theatres on September 30, 2009.